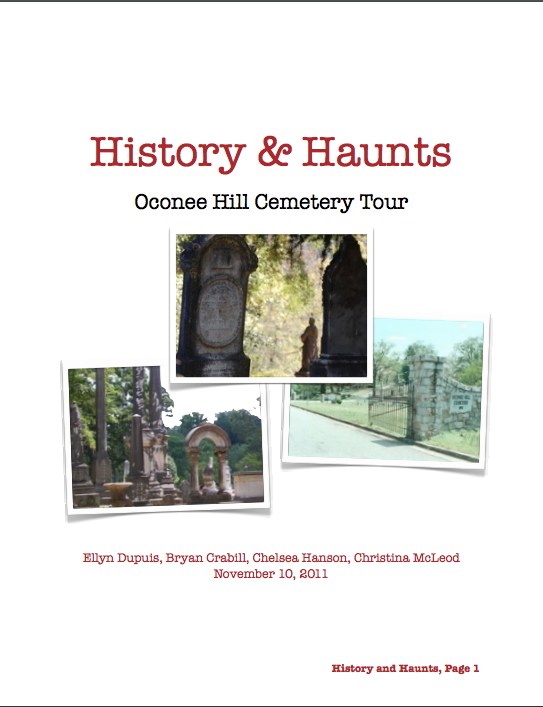 The History and Haunts app is a great way to learn about the history of Athens through the Oconee Hill Cemetery, which is nationally recognized as one of the most outstanding examples of Victorian cemeteries in the nation. Through this app you can learn basic facts about the cemetery, relevant information such as the hours of operation and take a guided tour of the most interesting spots! You use the map provided to select points of interest to visit which directs you to a page of information including images of the deceased and audio recordings of stories told in the first person for a truly spooky experience. The app also includes practical uses such as a PayPal link where visitors can make donations to The Friends of the Oconee Hill Cemetery and information about to rent the historical Sexton’s House. Photo galleries of monuments with historical explanations of their significance and information about famous deceased make this a great app even if you can’t visit the cemetery in person. If spooky stories and historical sites are your thing, you will love History and Haunts!